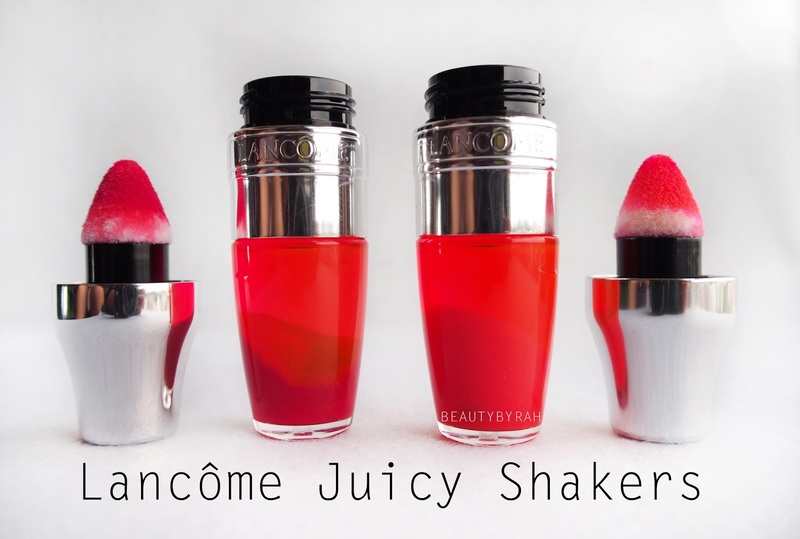 With lip oils being in trend recently, I was excited for the launch of Lancome's Juicy Shaker in Singapore! I saw Lisa Eldridge's video about these and have been on the look out for it ever since. 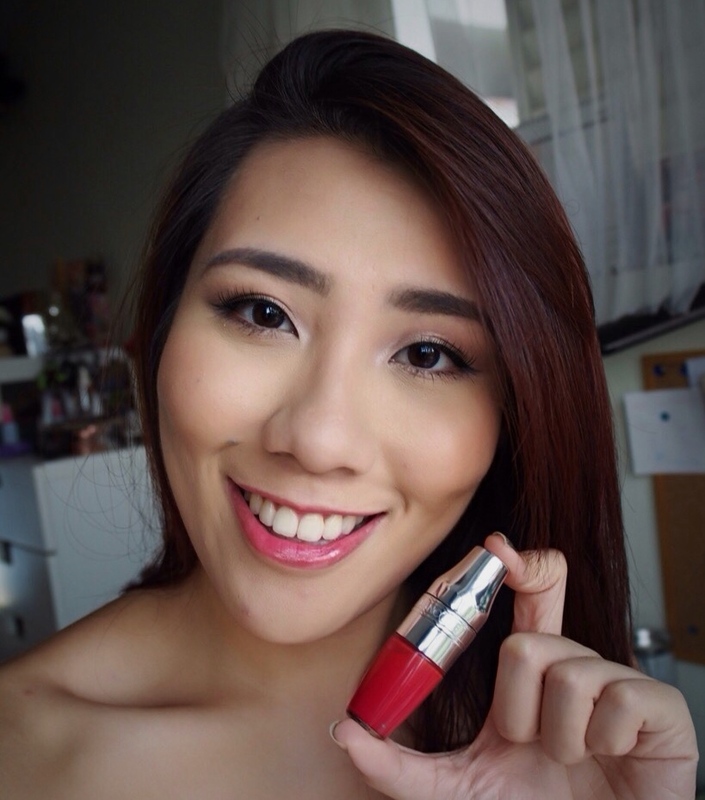 I have two of them and here I am sharing swatches and my review on them! Personally, I am rarely a fan of matte lips as many I've tried does tend to dry out my lips and cause a lot of peeling (yes, even my colour pop ones). My lips are just naturally not as moisturised as I would like it to be. Of course, rocking a matte lip is on trend as well, but I tend to veer towards the opposite end of the spectrum, with cream and gloss finishes. Before shaking it up - you can see the pigment at the bottom and the oil mixture at the top! 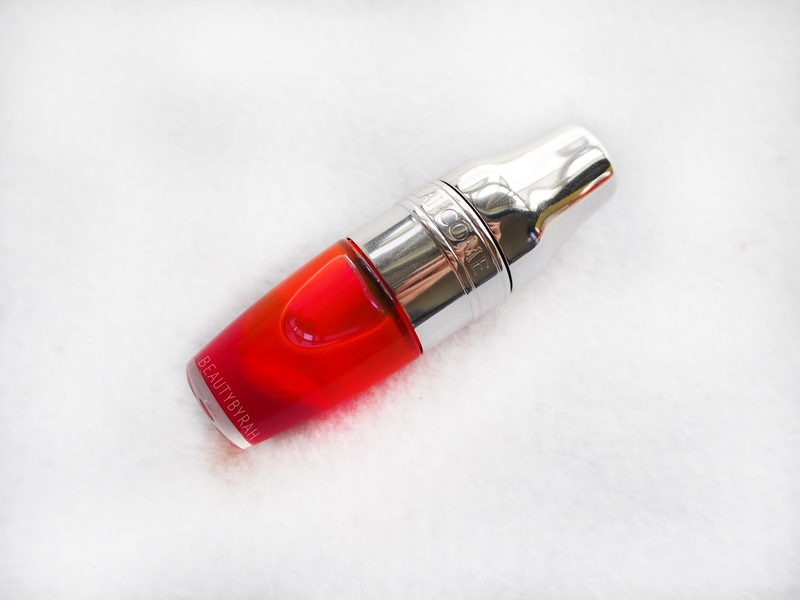 These Juicy Shakers are ultimately a flavoured bi-phase lip oil which gives a juicy wash of colour on the lips. You simply shake it up and apply on the go! These have a fruity fragrance (one that matches the individual name of the shakers!) which isn't too over powering.The scents are really reminiscent of a watermelon and a mango! Smelling them makes me feel all beachy and summery. Of course, the shades are perfect for summer too. The packaging is cute, one that reminds me of those metal cocktail shakers! It comes with a cushion tip applicator which was definitely intriguing. First we have cushion applicators for foundations and now for lip products! The cushion feels nice on the lips and fits the contour of the lips nicely (due to its conical shape), making application simple and easy. I do find that the sponge does control the amount of oil and pigment for application, so that it isn't too messy as we all know oils can be a tad challenging to remove. The bi-phase mixture contains 4 types of oils, namely peach kernel oil, sweet almond oil, cranberry oil and musk rose oil. Before use, we gotta shake shake shake them up! These mixes the oils and pigment together, so that it is ready for use. And no, this requires minimal effort, no arms dropping off here! Now, despite being a lip oil, these give enough pigment that satisfies me, and gives me a flush of colour. I like how the vibrancy of the shades are translated onto the lips! 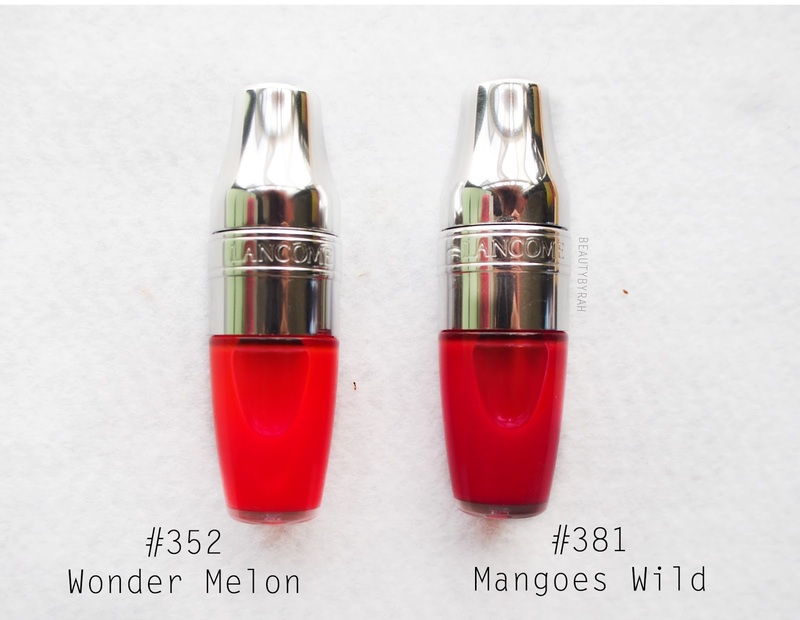 Comparing to some other lip oils out there, these definitely do contain a good amount of pigment. Overall, I do enjoy these. 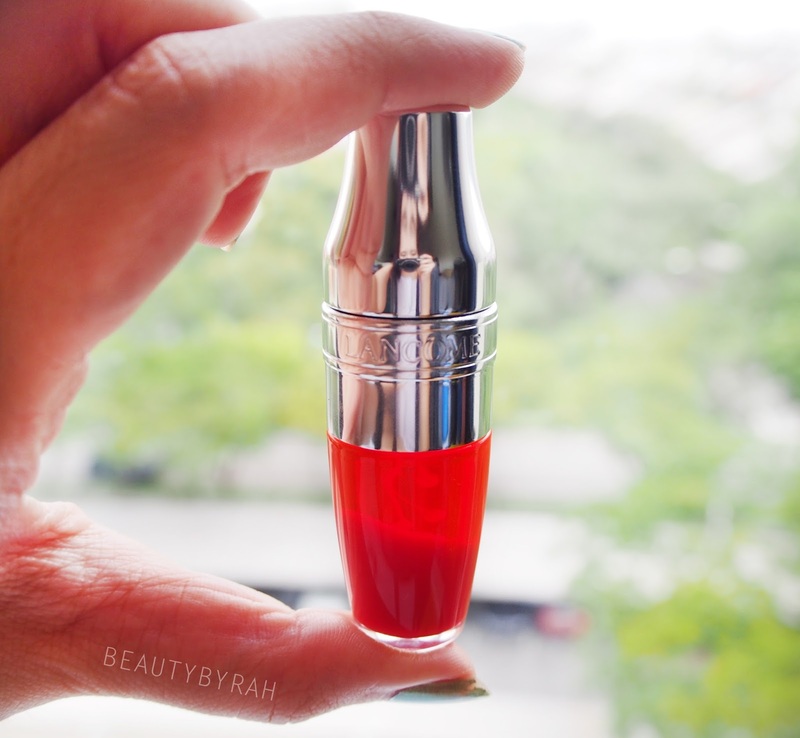 The formulation is really nourishing and my lips are hydrated and plump. It isn't too overly shiny where you can see the shine from miles away. I would say that these have a sheen to them, but it is not over the top. Unlike some glosses, this isn't sticky on the lips at all and feels extremely comfortable. 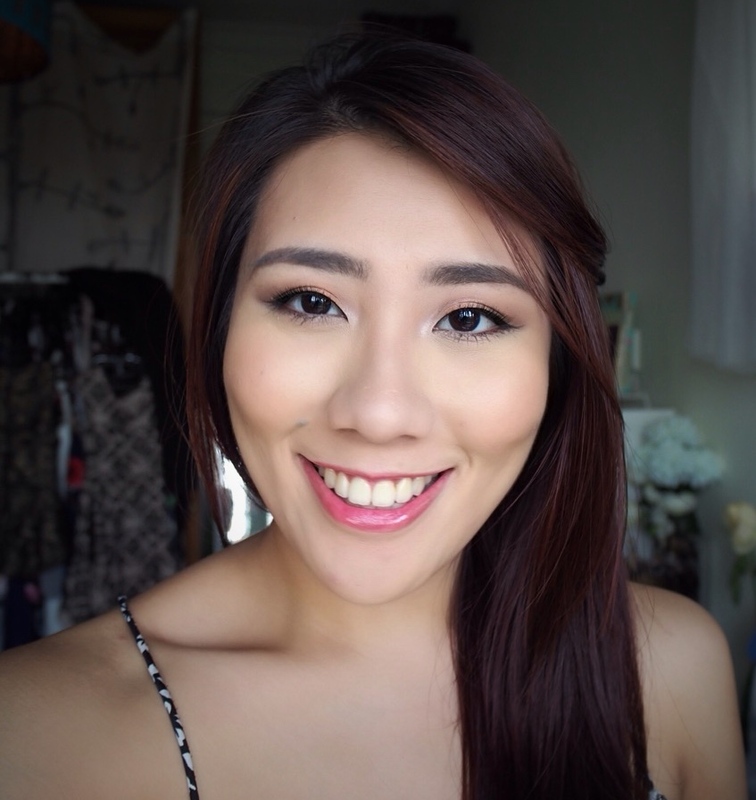 These work great for out-the-door kinda days where I just want a flush of colour on the lips to make me look alive! 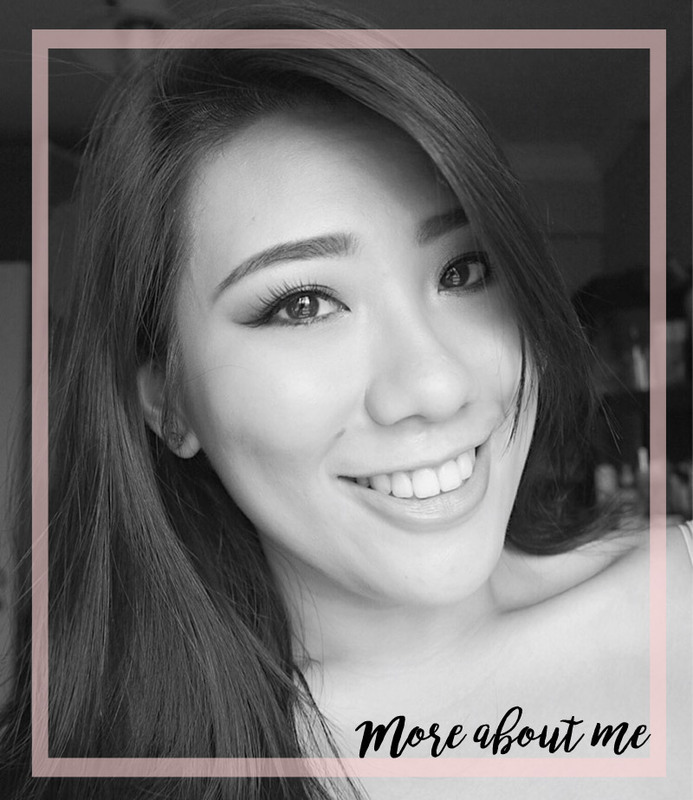 Wonder Melon really does perk up the face and I tend to reach for it whenever I do minimal eye makeup as I feel that these really complete the look - fresh, summery and refreshed. Mangoes Wild is a tad more daring, and I foresee this being great for a date night or a night out with the girls! There is a total of 20 shades with unique and pun-intended names and they will be retailing at SGD 36 each! Disclaimer : these products were sent to me but the opinions stated are my own.